The second book in the thrilling series that began with The Philosopher�s Flight finds Robert Canderelli Weekes as a rookie Rescue and Evacuation flier on the front lines of World War I in France. He came to save lives, but has no idea how far he�ll have to go to win the war. Thanks to a stunning flying performance and a harrowing shootout in the streets of Boston, Robert Canderelli Weekes�s lifelong dream has come true: he�s the first male allowed to join the US Sigilry Corps�s Rescue and Evacuation service, an elite, all-woman team of flying medics. 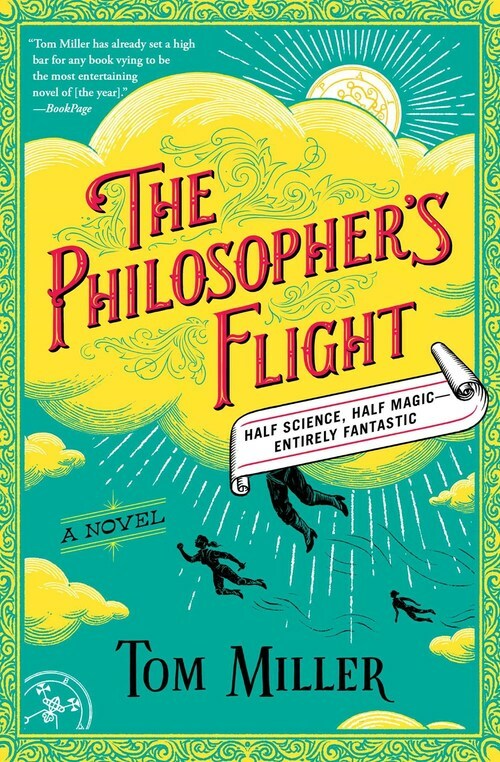 The Philosopher�s War is the electrifying next chapter in Robert Weekes�s story, filled with heroic, unconventional women, thrilling covert missions, romance and, of course, plenty of aerial adventures. The second book in a series �that grabs readers from its opening lines and doesn�t loosen its grip or lessen its hold all the way through� (Associated Press), Tom Miller again brings Robert�s world to life with unrivaled imagination, ambition, and wit.